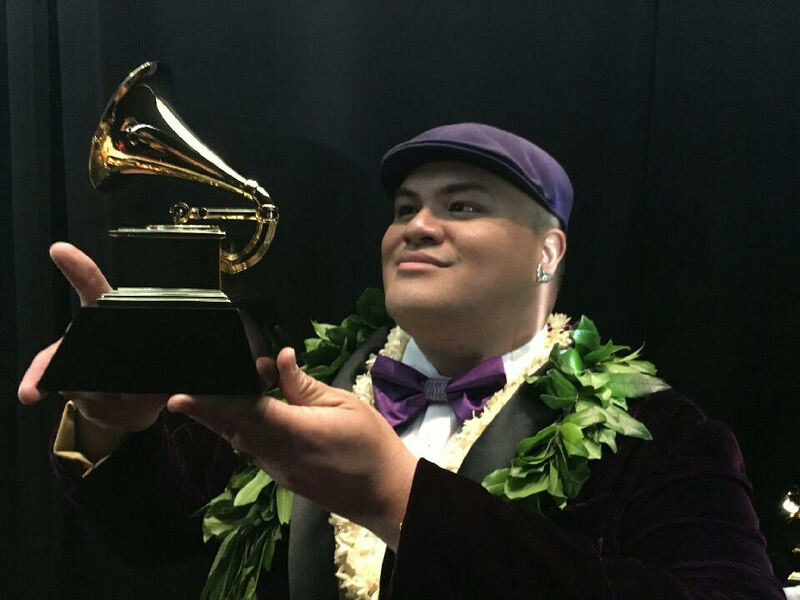 LOS ANGELES - Feb. 13, 2017 - PRLog -- Grammy nominee, Singer/Songwriter/ Producer and Hawaiian Cultural Practitioner/Educator Kalani Pe'a has officially been announced as a winner at the 59th Annual Grammy Awards. During his appearance at the 2017 Grammys, Pe'a received the Grammy for Best Regional Roots Music Album. Other contenders in the category consisted of Cajun, Zydeco and Native American music.Pe'a was the only finalist representing Hawai'i. "I am so honored and blessed to be the first Hawaiian immersion graduate and educator representing my kupuna (ancestors), Makua (parents) and 'ohana in the Grammy's," Pe'a said. Pe'a recently performed at "We Are Friends: A Lifetime Party of '70's Hawaiian music-A Mele Mei" in L.A. The host of this event was Billy V and featured performances saluting some of Hawai'i's legendary artists of the '70's: with Henry Kapono, Johnny Valentine, Alx Kawakami, Blayne Asing, Malani Bilyeu, Gaylord Holomalia and more! The 59th Annual Grammy Awards took place live from Los Angeles on Sunday, February 12, 2017.